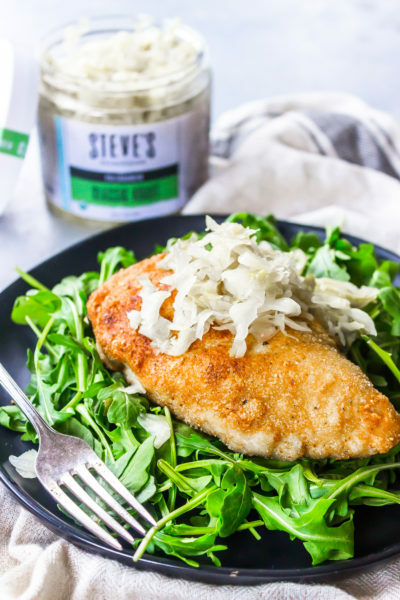 This easy Paleo Schnitzel is perfect when served with our new PaleoGarden Classic Kraut! Beat the egg in a shallow bowl. In another bowl, mix together the coconut flour with the spices and either the almond flour or PaleoCrackling dust. Dredge the chicken through the egg, then into the flour mixture, shaking off the excess. Place the chicken into the hot oil and fry 3-4 minutes per side until golden and cooked through. Serve with PaleoGarden Classic Kraut.